A computer network enables users to share information and devices between computers and other users within the network. Obviously, there are certain computer networks that you need to 'trust' and grant access to - for example your home or work network. Unfortunately, there may be other, untrustworthy networks that you want to restrict communication with - or even block entirely. Note: We advise new or inexperienced users to first read 'Network Zones' , 'Stealth Ports Wizard' and 'Application Rules' before blocking zones using this interface. 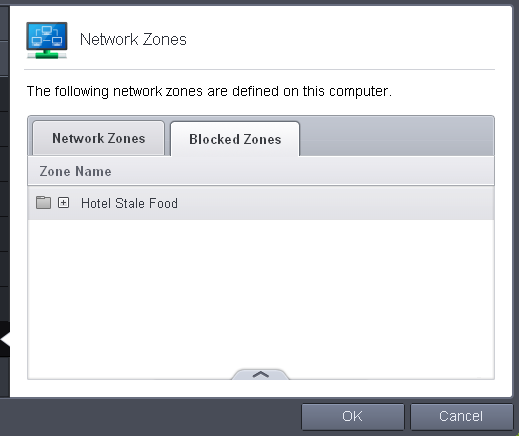 Using 'Network Zones' to name and specify the network you want to block. Note 2: You cannot reconfigure pre-existing network zones from this interface. (e.g., to add or modify IP addresses). 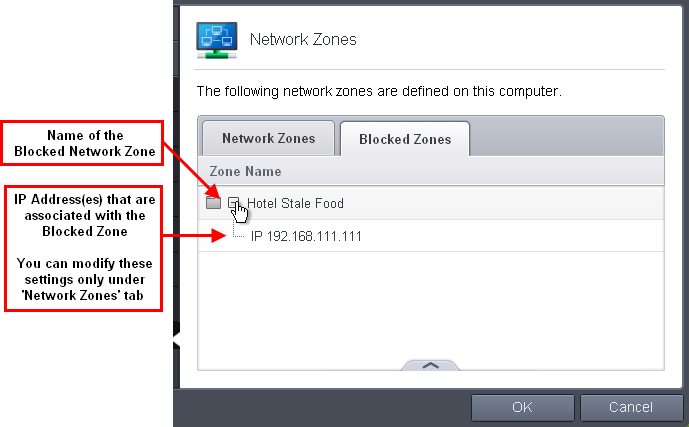 You need to use 'Network Zones' if you want to change the settings of existing zones. Select the particular zone you wish to block. The selected zone will appear in the 'Blocked Zones' interface. Click 'OK' to confirm your choice. All traffic intended for and originating from computer or devices in this zone are now blocked. Click the handle from the bottom center and choose 'Add' > 'New Blocked Address' from the options. The Address dialog will appear. 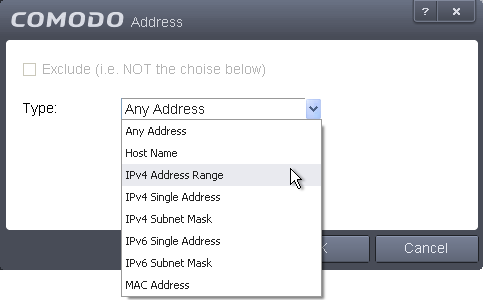 The 'Address' dialog allows you to select an address from the Type drop-down box shown below (Default = Any Address). The address(es) you blocked will appear under the 'Blocked Zones' tab. You can modify these addresses at any time by selecting the entry and clicking 'Edit'. Click 'OK' in 'Network Zones' interface to confirm your choice. All traffic intended for and originating from computer or devices in this zone are now blocked.